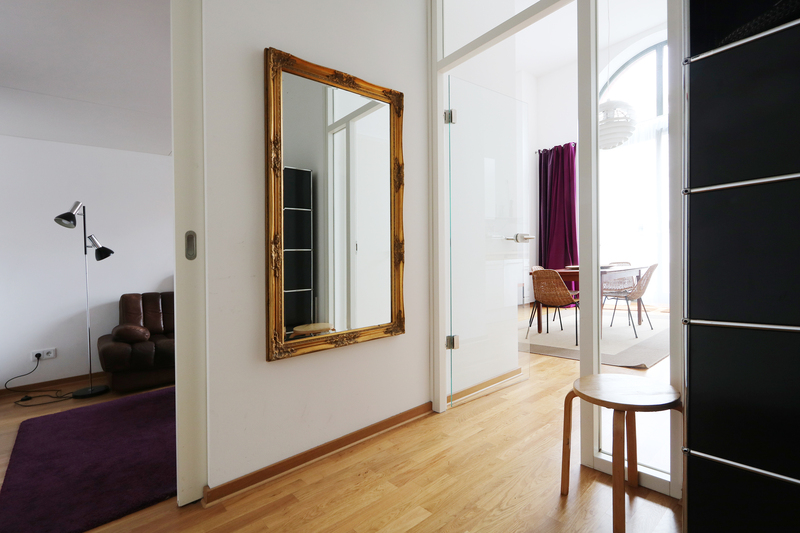 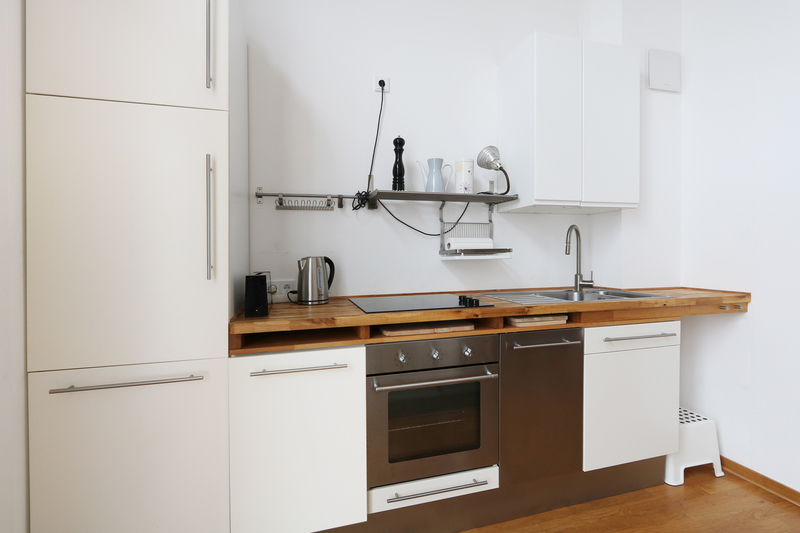 Modern and refurbished apartment situated on Tivoliplatz in a beautiful historical landmark in Kreuzberg. 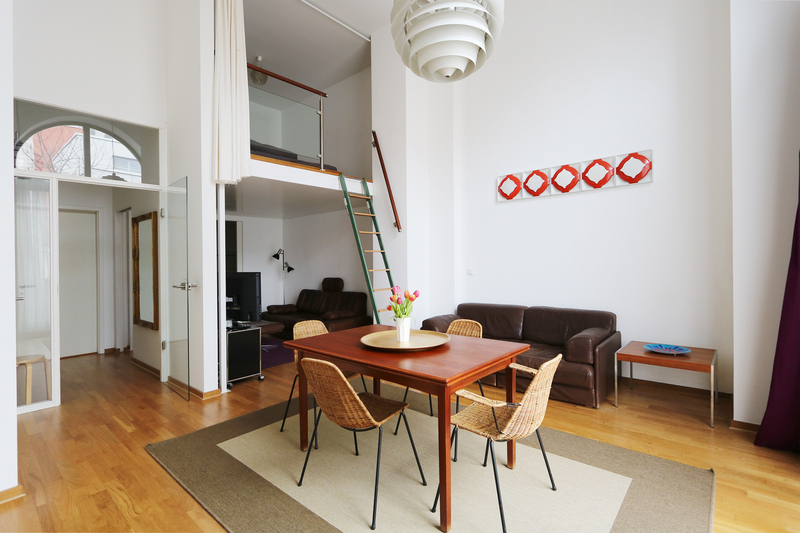 Very high ceilings and an efficient floor plan gives the apartment a very lofty and spacious look. 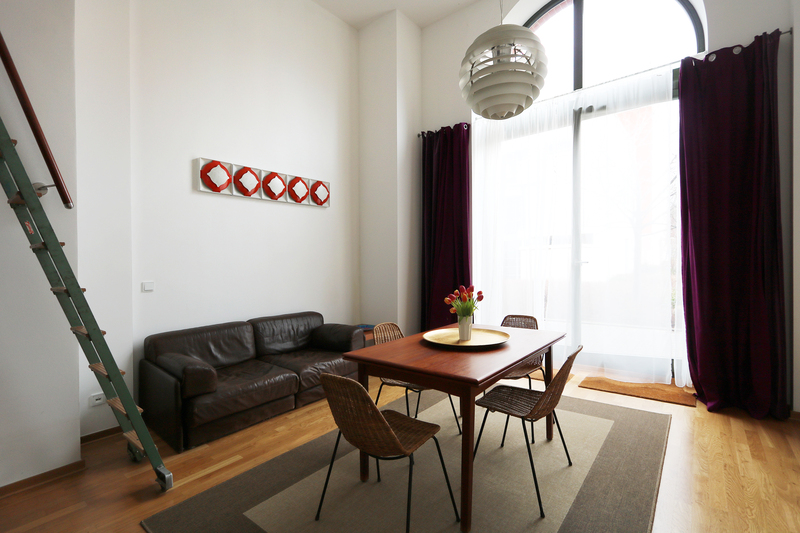 Wooden parquet, handpicked interior pieces and furniture from various decades are well decorated all the way through. 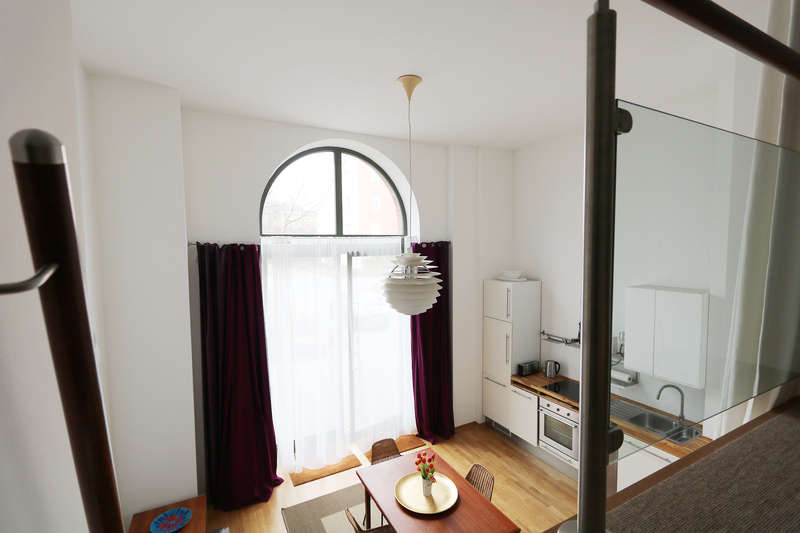 The open plan kitchen is fully equipped and is connected to the living area with a dining table that can seat up to four persons. 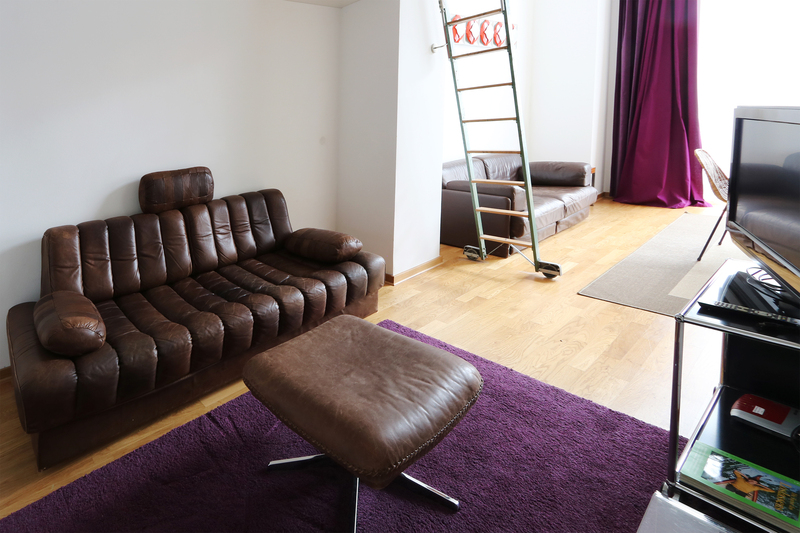 The smaller and second lounge area feels very private and is a great retreat for chilling or simply enjoying home entertainment on the flatscreen TV. 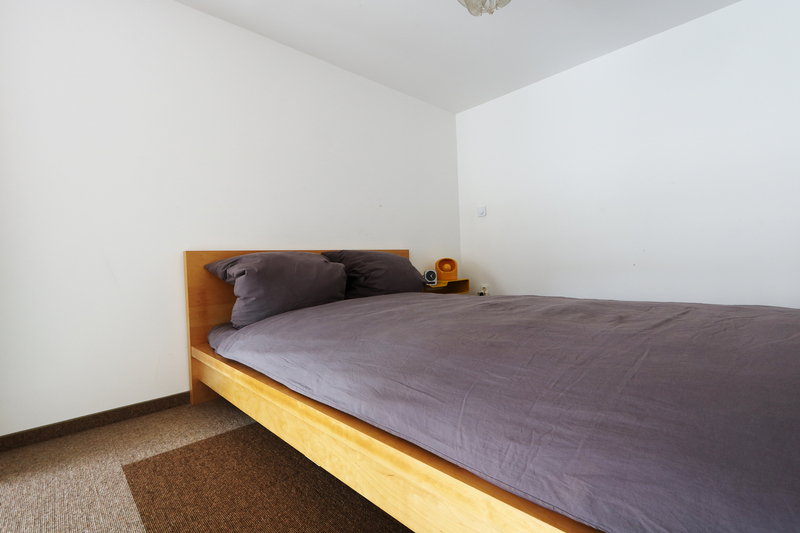 This room can be also used as a second bedroom on request. 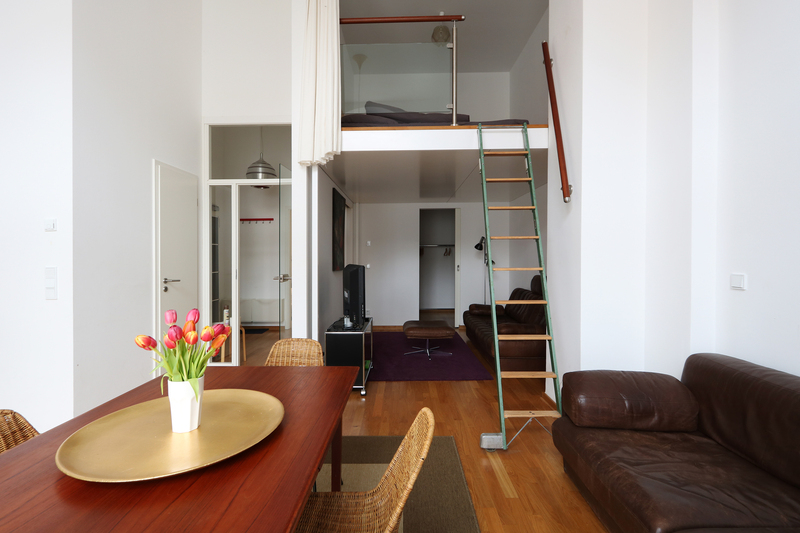 Upstairs you`ll find the main bedroom with great views onto the lower level. 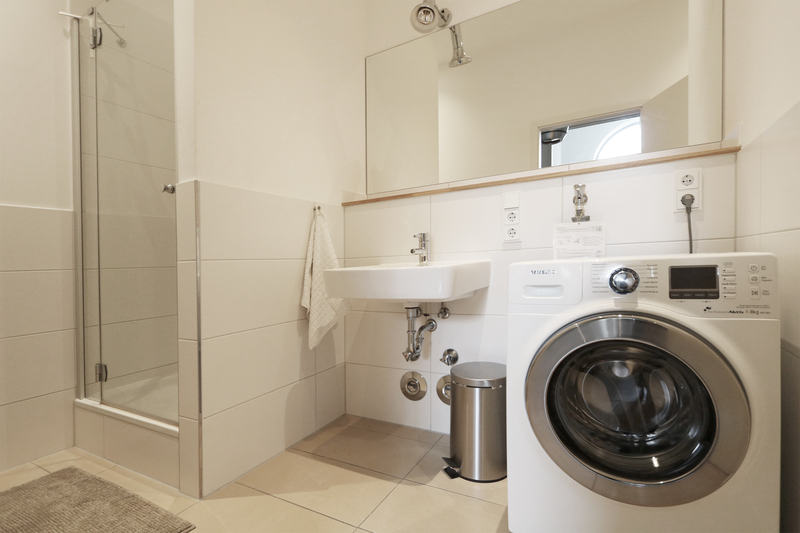 The modern bathroom has a walk in rain shower and features modern appliances. 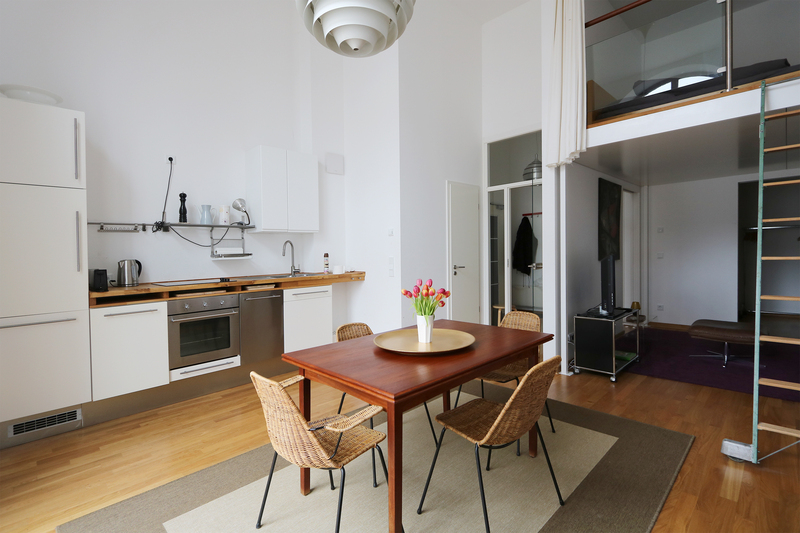 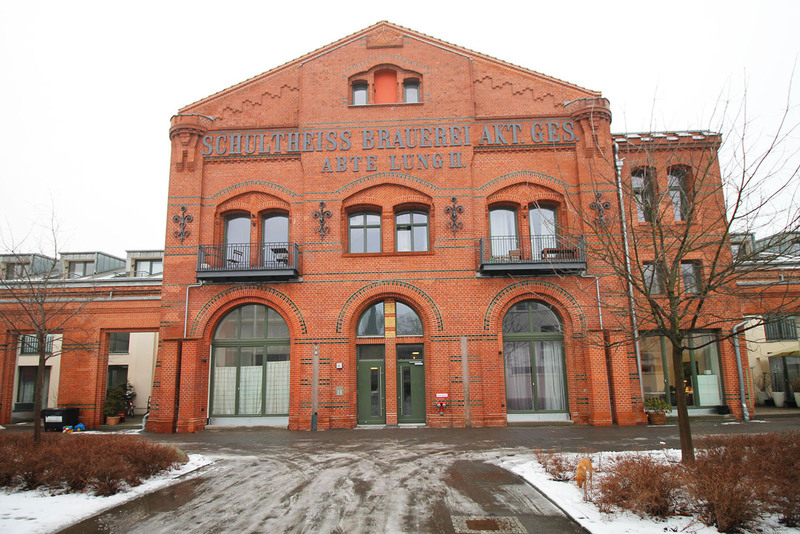 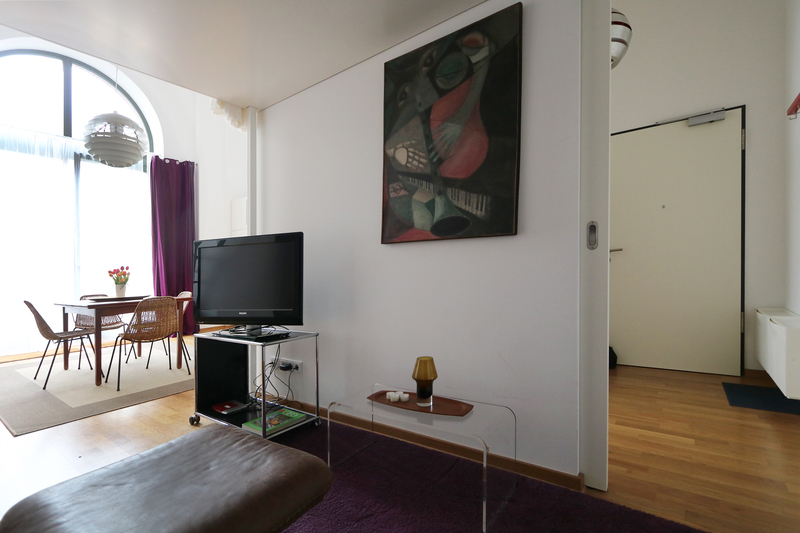 The apartment is located on Tivoliplatz next to beautiful Viktoriapark and within a former and famous german brewery complex which had be completely transformed into a modern residential building. 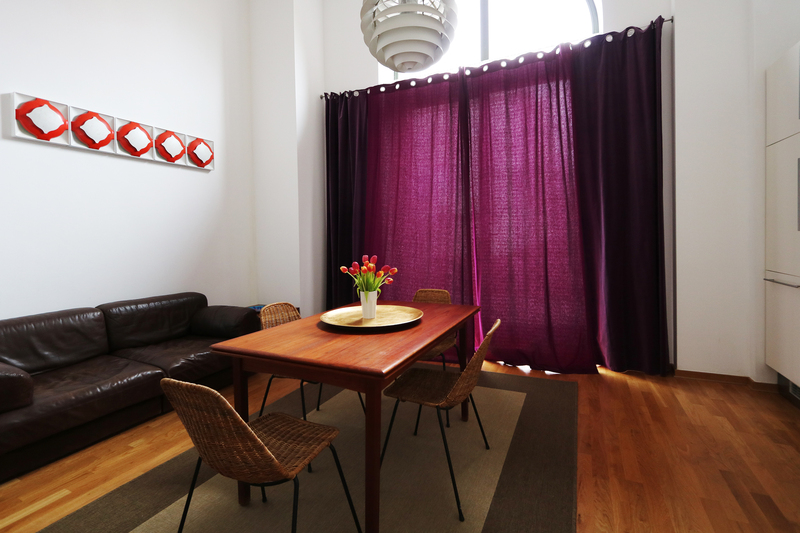 Close to Viktoriapark (well known for its grand waterfall in summer) and Tempelhofer Feld (former Tempelhof Airport) which is great for sport excursions, festivals and much more.